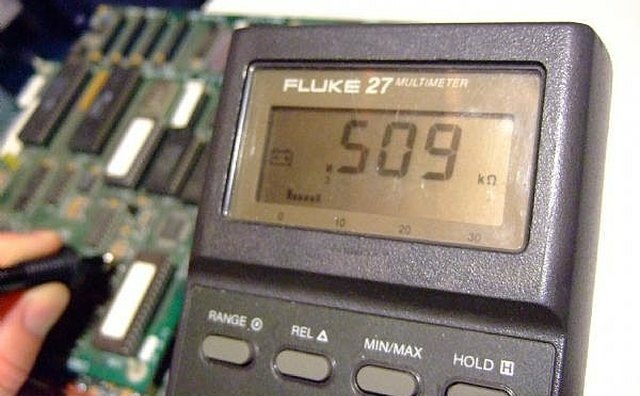 Digital Multimeters have many functions that are useful. 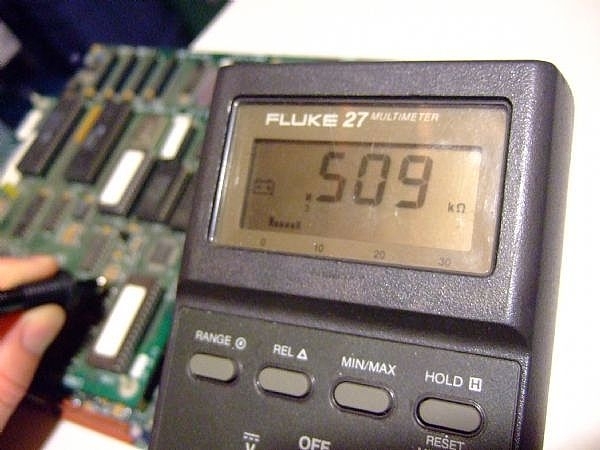 One of the things Digital multimeters are very capable of performing is testing components. 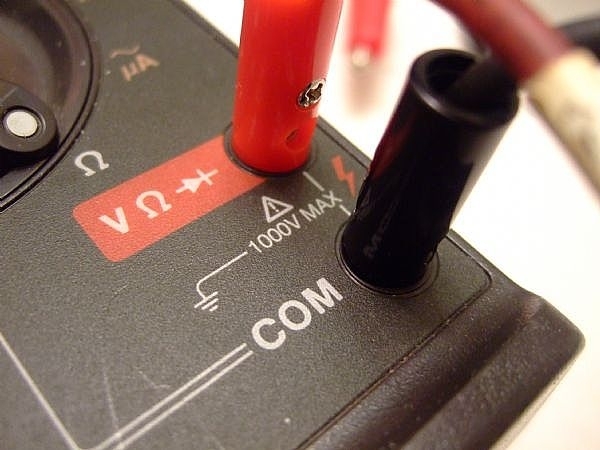 This article will show you how to use your digital multimeter to test a resistor. Resistors are typically 2 terminal components whose main purposed is to limit current to other components. A voltage drop occurs between the two terminals and resistance can be calculated using Ohm' s Law R=V/I; where R = resistance, V = voltage, and I = current. Connect the probes to the digital multimeter. 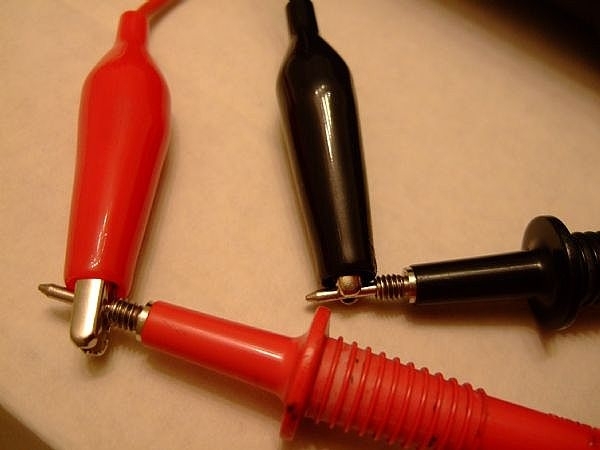 Connect the black probe to the com (common) port and the red probe to the port marked with the Ohm symbol which looks like an upside down horseshoe. For those of you who remember Greek, the Ohm symbol is the Greek letter Omega. This digital multimeter has banana jacks for the port plugs. 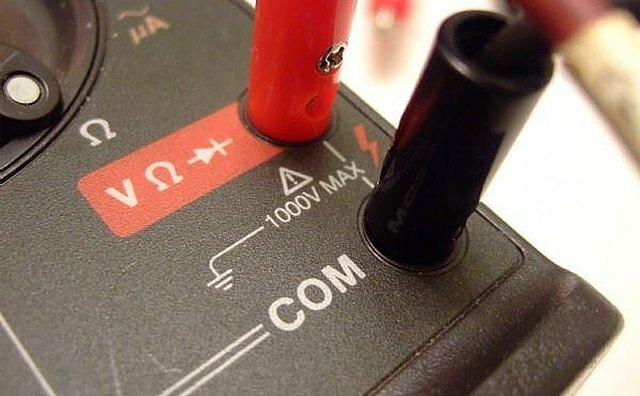 Other digital multimeters may have screw in terminals or BNC plugs. Use alligator clips to attach to the digital multimeter probes. The alligator clips will allow you to work more hands-free and provide a better connection to the component. 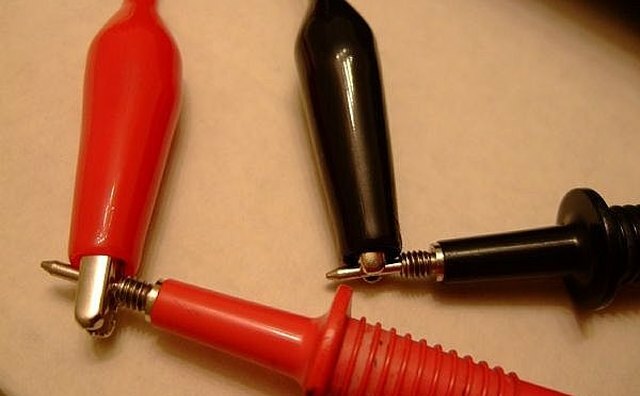 Use a red and black alligator clip to match the probes. Connect the alligator clips to each terminal of the resistor. 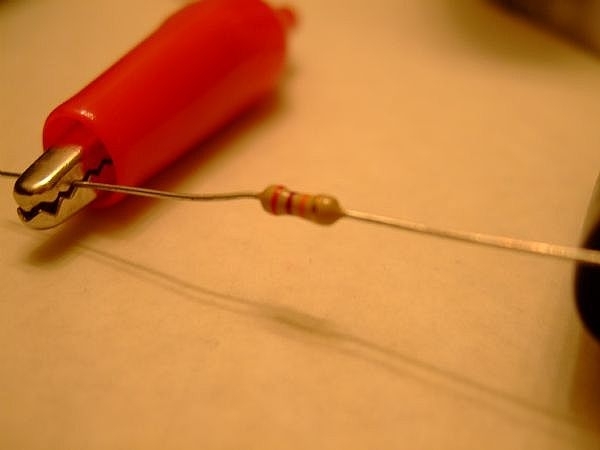 Most common resistors are the 4 color band type. The first two colors indicate values, the 3rd band indicates a multiplier, and the 4th band indicates % tolerance of the resistor value. The pictured resistor is red (2), violet (7), orange (x 1000), and gold (5%). This resistor should then theoretically have a value of 2700 Ohms with 5% tolerance of the value. The lower the tolerance value, the better the resistor. 5% tolerance is about as good as a standard resistor as you can buy at stores like Radio Shack. 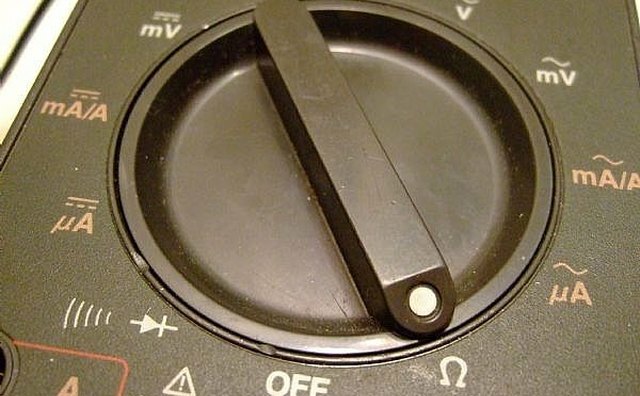 Turn the digital multimeter dial setting to Ohms (Omega). 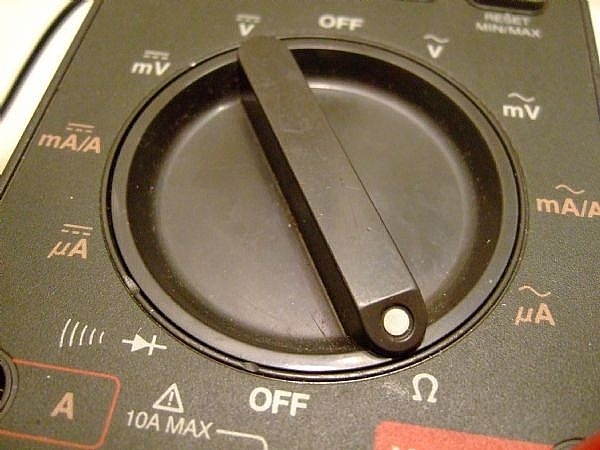 Some less expensive digital multimeters have Ohm settings with multipliers (x 100, x 1000, etc). 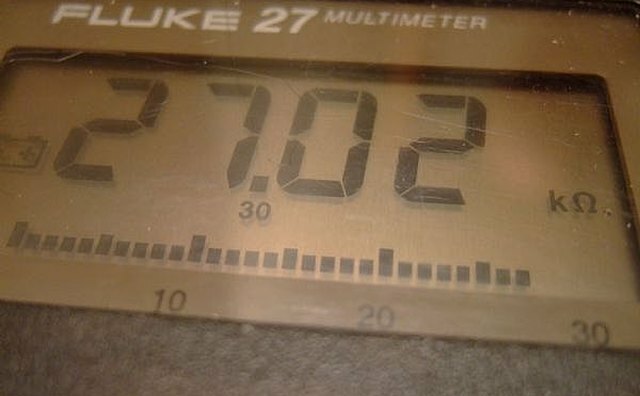 The digital multimeter shown is auto ranging so the multiplier will be shown in the screen with the reading. Take the digital multimeter reading. 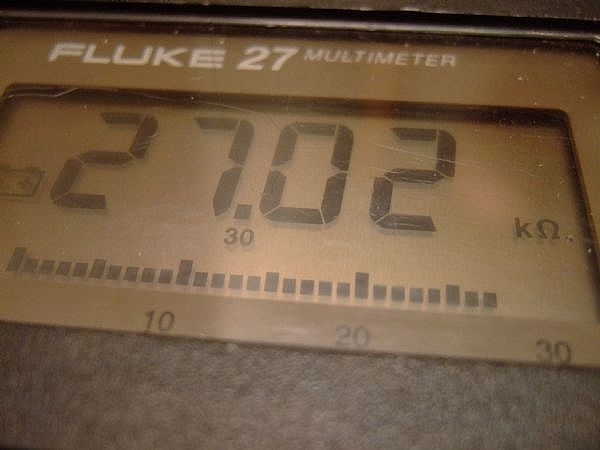 The pictured test shows a value of 27.02 k Ohms. The resistor value is therefore 2702 Ohms. This value is well within the 5% tolerance variance from 2700 Ohms. The resistor is ready for your project. 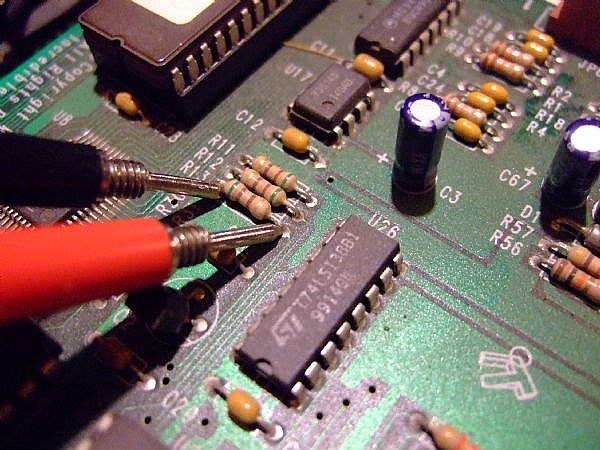 To test an in-circuit resistor with a digital multimeter, use steps 1 and 4 above. 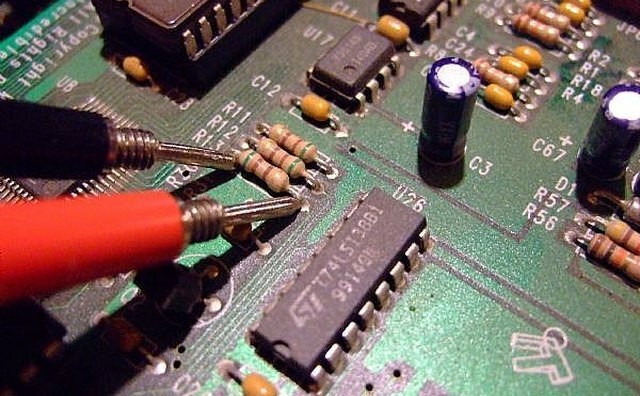 Make sure there is no voltage active in the circuit board. You will probably have to use the probe tips unless you have really small alligator clips. Touch each probe to a terminal of the resistor. For resistor testing you can touch either terminal with the black or red probes. Take the digital multimeter reading. This resistor has the color code green, brown, brown, gold, and should therefore have the value of 510 Ohms. The digital multimeter reads 509 Ohms. The digital multimeter test shows a good resistor. You can buy resistors in 500+ assorted packs to save a lot of money over the 5 packs from Radio Shack or other electronic component outlets. Buy an auto ranging digital multimeter.